As summer temperatures give way to cooler fall days and nights, it’s time to break out the autumn wardrobe, grab your partner and go enjoy yourselves. Whether you are in a long-term relationship, just getting to know each other, or best friends, fall is the ideal time of year to head out on an adventure with that special someone. In this article, the team at yourfootpalace.com discusses the importance of recreational activities, and provides a list of 20 fall recreational activities for couples to enjoy the season, relax, and spend quality time together. Research indicates that recreational activities and hobbies, over time, can improve an individual’s memory and flexibility, reduce stress, improve self-esteem, enhancing the immune system, and help you get better quality sleep. Now that the temperatures outside are no longer stifling, it’s time to head outdoors and enjoy the fall weather while you can. Below are ten outdoor activities perfect for couples. 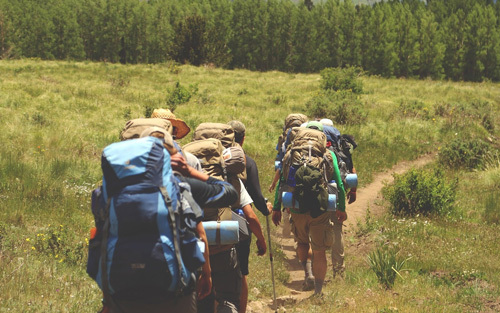 1 – Hike a Trail – You may have to take a short drive to get there, but hiking a trail together can be relaxing and fun. The later in fall you go, the more of a color show the trees will give you. 2 – Go Horseback Riding – Letting the horses do the walking as you meander through the backcountry is an unforgettable and rewarding experience. 3 – Take a Camping Trip – Pitch a tent, start a fire and cook up the s’mores. On a clear night, kick back for some stargazing while you’re at it. 4 – Go Fishing – The shores of streams, rivers, lakes, and ponds are great for casting in your line. Make it a challenge to see who can catch the most or largest fish. 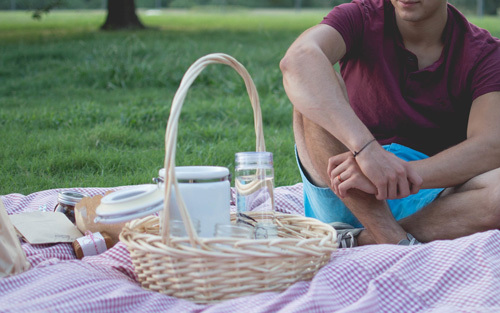 5 – Have a Picnic in the Park – Pack a basket with your favorite finger foods, snacks, and drinks; head over to your favorite park and stretch out a blanket. Kick back and enjoy yourselves. If the weather suddenly changes, head to the parks recreation center to finish your meal and see what’s happening in the community. 6 – Go for a Bike Ride – Go for a morning ride in the brisk air on your favorite bike path or trail. No rush and no stress, just a fun ride to start the day. 7 – Take a Road Trip – Destination unknown. Write the names of five nearby cities, monuments, or tourist attractions on pieces of paper and pull one from a hat. Gas up the car, get some snacks, a change of clothes, and hit the road! 8 – Go For a Sunset Boat Ride – There’s a certain romance in watching the sunset from the back of a boat on a body of water. Besides your life-vest, don’t forget the blanket, this is a great time to cuddle. 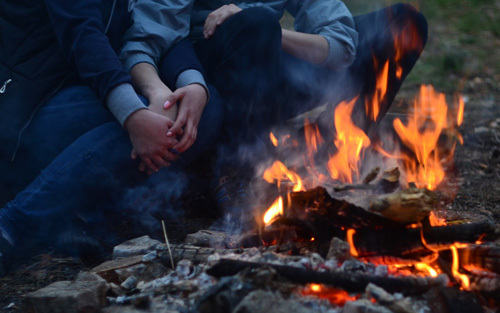 9 – Cozy Up to a Bonfire – Speaking of cuddling, chilly nights are ideal for lighting a bonfire. Make it a couples affair by inviting your friends and telling stories into the night. 10 – Visit an Apple Orchard or Pumpkin Patch – It’s fall. It’s also time to go get some apples right off the tree and a pumpkin or two right off the vine. Besides being a great couples activity, this is also the perfect setting for taking fall themed pictures. When the temperatures are too low, or the weather no longer supports an outdoor activity, just take it indoors. The following are ten amazing indoor fall activities for couples. 1 – Bake Pies – Take the apples you picked at the orchard and make a pie. Pies are easy to make and fun when you do it together. 2 – Coffee Date – Find the most comfortable, cozy, laid-back coffee house in your city, and enjoy the morning with a cup of Joe and conversation. 3 – Get a Couples Massage – Let expert hands work their magic as your stress and anxiety melt away. 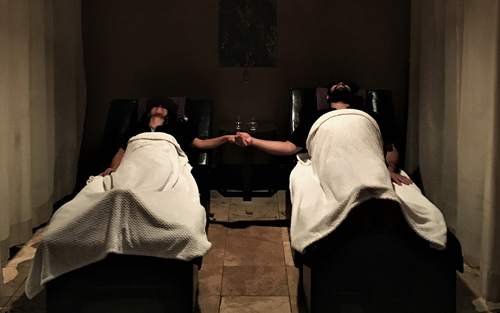 Visit https://www.yourfootpalace.com/couples-massage-athens-ga and turn it into a spa day for an unforgettable shared experience. 4 – Movie Date – Being fall, it’s time for some scary movies! Or not. Whether you head to the theater or pop in a DVD at home, turn off the lights, silence your phone, and enjoy some snacks. 5 – Ice Skating – There’s nothing more romantic in the fall than taking your partner ice skating. Ok, there are plenty of things more romantic. But not nearly as fun. 6 – Art Gallery – An often forgotten date is the one that goes to an art gallery or a museum. This is a beautiful opportunity to have in-depth artistic conversations with your partner, as well as a great educational experience. 7 – Board Game Night – All jokes aside, when the weather is bad, and you need something fun to do, break out the board games. Even if the power goes out, light some candles and keep rolling the dice. 8 – Chef Swap – Take turns cooking dinner for each other. Spend a week cooking up your most ingeniously original fall recipes, keep track of the oohs & aahs and declare a winner when the week is over. 9 – Volunteer Your Time – Head over to a Boys & Girls Club, local soup kitchen, charity, or hospital and volunteer your time. You get that rewarding feeling and the opportunity to meet the most incredible people through volunteerism. 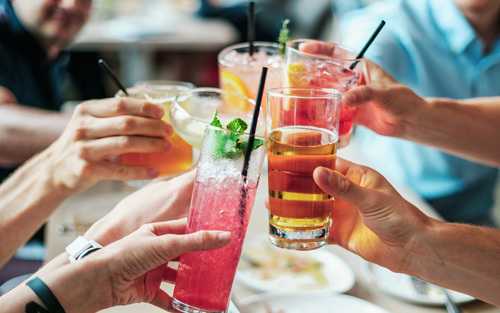 10 – It’s a Couples Party – Call your friends over for a relaxing autumn-themed dinner party and drinks. Fall is arguably the best time of year for couples to engage in both indoor and outdoor activities. The dropping temperatures, changing leaves, and approaching holidays all work together to create a romantic, adventurous, and somewhat nostalgic atmosphere. 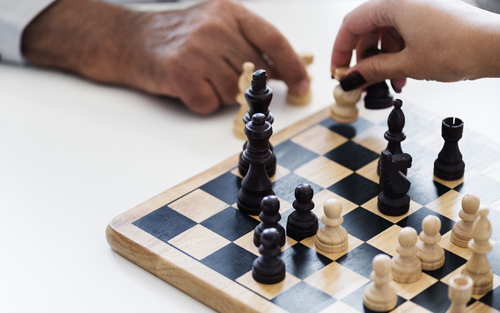 In this article, we’ve discussed the importance of activities and hobbies as they relate to your health, as an individual, or as a couple. We’ve covered outside activities such as bike rides, camping, fishing, hiking, and we’ve mentioned some indoor activities like couples massages, baking pies, movie dates, and art galleries to keep you active even when the weather is bad. 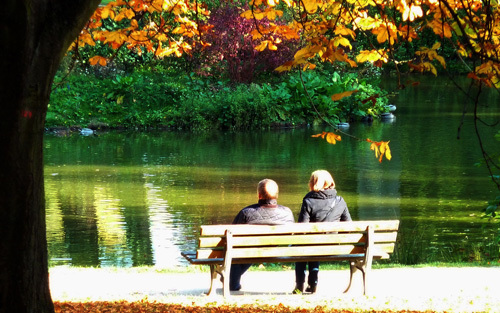 Some of the essential benefits of engaging in fall activities as a couple include creating mutual interactive experiences, relieving stress and anxiety together, and promoting each other’s health and wellness.